The programme focuses on culinary skills, practical hands-on and theoretical training in all areas of food production. It equips students with real gastronomic skills and knowledge about food preparation, safety and the presentation techniques required for entry into the food services industry. 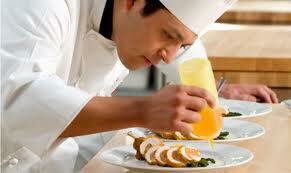 student will acquire important skills in culinary craft, and dealing with suppliers. 1. To equips students with basic culinary skills as well specialized in knowledge and skills in the area of food and management. The Chef is not only a cook, but an artist, a manager, a chemist and an entrepreneur. The successful chef has to adapt to the dynamic changes of modernization and demands of clientele. Graduates can either work for prominent international hotels and restaurants or branch out on their own. Graduates can also opt for specialization of their choice such as pastry, chocolate, seafood or any types of cuisine. With guidance on entrepreneurship, this is a qualification where the future prospects are virtually limitless.